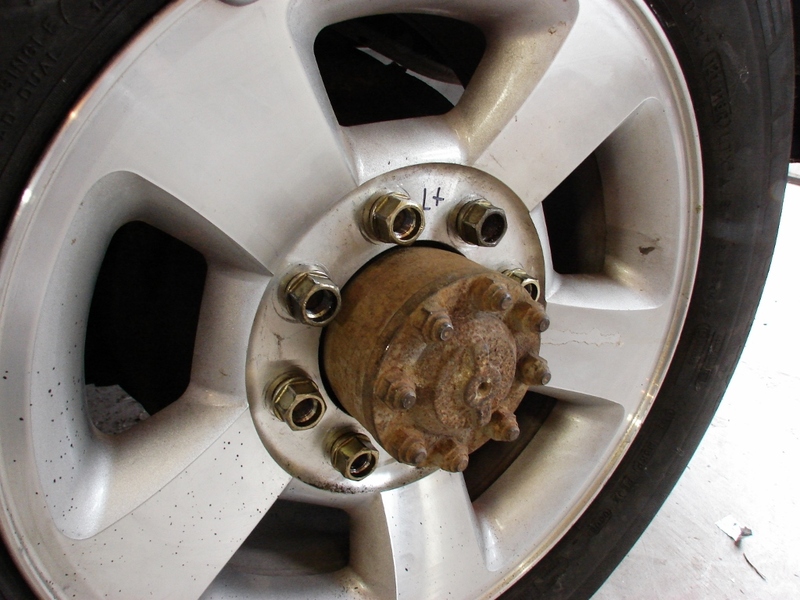 In our last episode, we left the rear wheels tenuously attached to the hubs with lug nuts which didn’t fit the wheels, nor hold the center caps on. 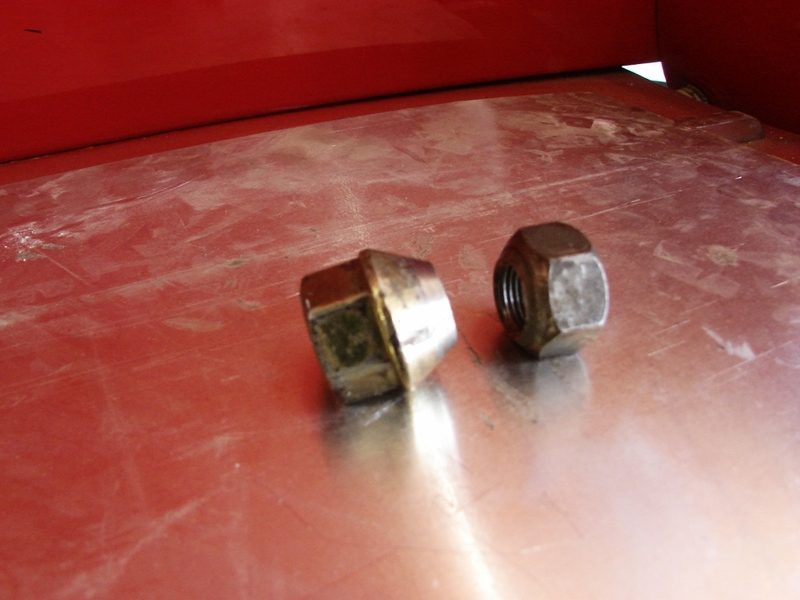 The dirty one on the right is one of the rear axles originals, and on the left is the newer, late-model Dodge, which fits the wheels, and has the lip the hub cap clip snaps down over. Not only that, but the old ones are 5/8″x18 thread, while the new ones are metric, roughly 1/2″. Plus, the left hand side is left hand thread. The answer came in the person of my friend Kirk Brown, aka “Crafty B”, who very graciously turned me loose in his shop, after a brief tutorial on his big drill press. We drilled center hole out, and then, after a trip to an industrial supply house, I tapped them with the correct threads. 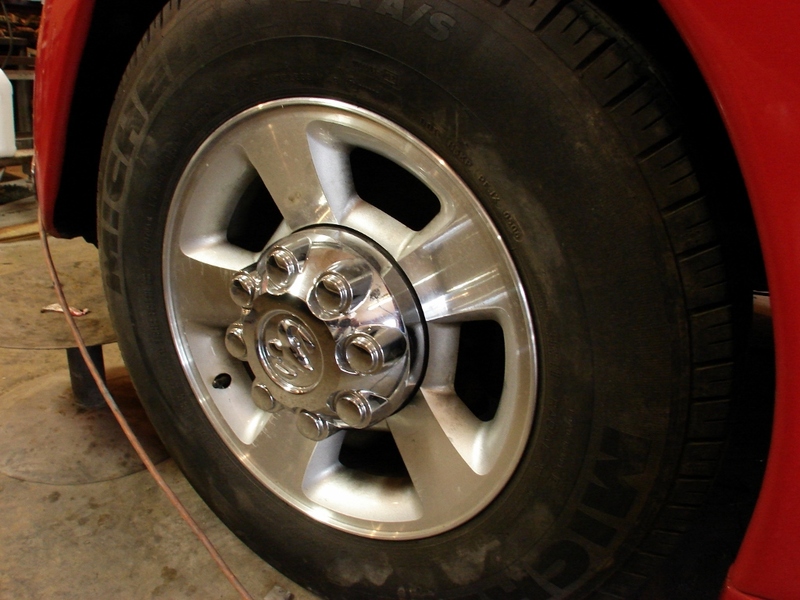 So, now the wheels are firmly attached to the truck, all torqued down, and the hub caps are on. I’ve got to buy two more chrome caps, as I have 2 painted ones, but there is a set on eBay for cheap. It’s great to have friends with machine shops, who are trusting enough to let me run machine tools! I got my nuts threaded and tapped, and Kirk got a 5/8×18 LT tap. Everybody wins!